Russian professor Maria Karmanova is restoring histories second jet airliner the Tupolev Tu-104, in an old and abandoned Siberian aerodrome. Maria Karmanova is the Russian professor and aviation enthusiast restoring the Tupolev Tu-104: histories second jet airliner to enter service. Karmanova has personally flown a full array of Soviet made aircraft, some that are now decades old. Karmanova is now undertaking her great feat in an abandoned Soviet aerodrome in the wastes of Siberia. Tupolev Tu-104 is nothing less than an iconic aircraft, a relic of the Cold War, and a vital piece of aviation history. 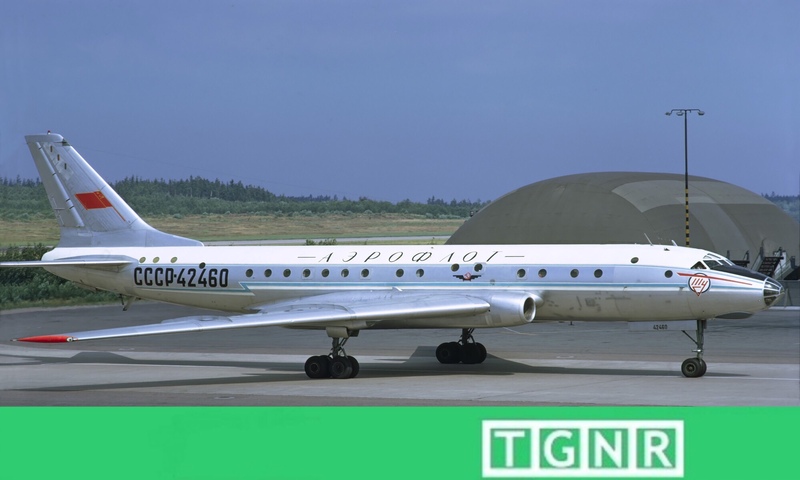 The Tupolev Tu-104 holds the distinction as the Soviet Union’s first civilian jet airliner, and histories second jet airliner to enter service in 1956, behind the British de Havilland DH 106 Comet four years earlier. The Tupolev Tu-104 was first flown in June 1955. Within the context of Cold War history, it was a major point of Soviet pride keeping pace with Western powers on that accomplishment. The Tuplov Tu-104 saw service for 30 years, retiring in 1986. During the aircraft’s operational career, the Tupolev Tu-104 traveled around the globe. The aircraft fell into marked disrepair after the fall of the Soviet Union in 1991, and was left abandoned in a Siberian aerodrome. Maria Karmanova is showing considerable motivation to change that. Maria Karmanova is a 31 year old professor at Sobolev Institute of Mathematic in Akademgorodok, Russia. Karmanova holds a doctorate in Mathematics. With her personal history of flying old Soviet designed aircraft, the Tu-104 is Karmanova’s Holy Grail. Moreover it is the only Tu-104 available to reach her goal. A sample of the missing parts inventory. Karmanova is embarking upon an immense project; as there is an exceptional amount of repair necessary before the Tu-104 is in operational condition. Since the Tu-104’s retirement nearly 30 years ago, the aircraft has fallen victim to theft and local abuse. Karmanova is currently joined by four other aviation enthusiasts, including a former Tu-104 pilot. Together, piece by piece, Karmanova’s small team is restoring the former Soviet aircraft at their own expense. Her teams greatest challenge is identifying missing parts, and slowly recovering the necessary mechanical pieces. The beginning of its longest journey. It is fair to say that humans are naturally sentimental, specifically when it comes to matters of the preservation of history. Karmanova and her team have an incredible path ahead of them with countless unknown obstacles. Though one cannot help but tip their cap to Karmanova’s passion and immense fortitude to see the Tu-104 reach the sky again. Sources: CNN.com, gandul.info, siberiantimes.com, wikipedia.com.